Professional landscapers take up projects for all kinds of clients ranging from homeowners who bring a clear creative vision to the table to those who are completely clueless about their expectations. Regardless of your client's level of expertise or creative vision, StoneSet Permeable Paving offers a range of solutions that will not only simplify your job and help reduce costs for the homeowner but also increase your professional credibility through sheer versatility of the products. The trending DIY work concept has helped create a whole generation of self-reliant homeowners who have done well managing their outdoor lawns and greenery. However, beyond their gardening skills, they have limited capabilities and need professional expertise to manage anything that involves hardscaping materials such as concrete, cement, mortar, brick, stone, wood and metal. 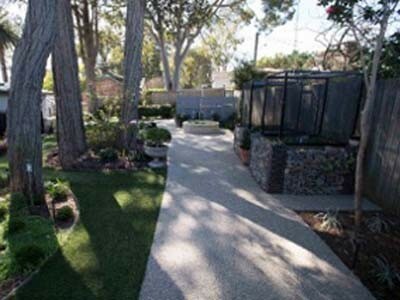 These homeowners approach and engage professional landscapers, expecting them to provide quality workmanship as well as advice on optimal materials and techniques that create the desired outcomes. StoneSet is a permeable paving system made using locally sourced decorative or crushed stone. StoneSet can be used for its porous qualities as well as its decorative appeal. The paving system enables simple installation as it can overlay most surfaces with minimal preparation work. StoneSet porous paving system offers a broad range of colours and textures; incorporates locally sourced stones; is highly durable for foot and vehicular traffic; provides permeability, reducing soil erosion from water runoff; and has an attractive visual appeal that will transform any area.